"i hope you're ikhlas in being friends with me, and not because you want me to join usrah/or other hidden agenda"
what is ikhlas anyways? if you want to be friends for a reason is that not ikhlas? if you are pondering these questions instead of 'should we have lunch at chili's or padi's? ', then keep calm and carry on, insyaallah soon Allah will show you the way. to answer the above questions that are burning in your mind, i refer to a talk i attended a few months ago by Dr Ayman Ewies. He said that ikhlas came from a root word in arabic meaning a sieve for sifting flour, the impurities stay on top and only pure flour falls below. Which raises another question, what is pure and what is impure? how do you differentiate between the two? There is no mention of the word ikhlas, yet the surah is named so. Why? because ikhlas is doing things solely for the sake of Allah, the One, who has no equals and no comparison. Not doing things because your boss says so, or because your ego says so, or because Utusan says so. Because Allah, as-Samad, says so. 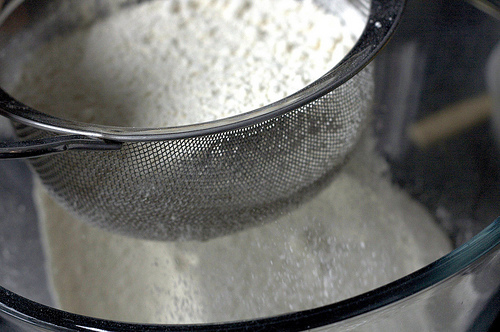 So that is the difference between pure flour that falls into the bowl and pests/dirt/rock that stays in the sieve. I think the current misconception is that to be ikhlas, you need to be friends for the sake of friendship, with no hidden reasons. hmm. isn't that a bit hollow, friendship without any strong base? to illustrate, why is a zebra friends with a zebra? for the sake of zebra-ness and having the same stripes. To me, everyone has reasons and vested interests. being friends because of similar interests is a vested interest. being friends because you like a person's character is also a reason, 'because of his good qualities'. But we must remember that the highest reason there can ever be is 'because of Allah', the incomparable. That is higher, and more everlasting than being friends because of having Kindles, or liking the same video games, or having pet zebras. And if your friend is helping you to get into heaven, i say hold on tight. Imagine how desperate could people be on the Day, when they don't care if all their friends went into the Fire, as long as they could save themselves. "2 people who meet and part for the sake of Allah"
and what could be more ikhlas than that. "im glad you had a hidden interest in being my friend. all along you wanted me to come with you to this place (heaven)"